Planning for a holiday in Turkey are exciting moments. With so much to see and do, they are vacations certainly to look forward to. What’s even more exciting is having a blue cruise in Turkey organized for your next trip overseas. 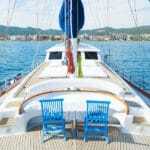 Usually these blue cruises are known to be experienced on board classic Turkish gulets. These lovely traditional boat charters are what partially makes the whole holiday so authentic and somewhat historical. 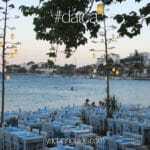 There are literally hundreds of gulets to choose from for your family gulet holidays. However, having narrowed down your selections, based on your criteria, makes it all the more easier to choose the gulet that is right for your family. 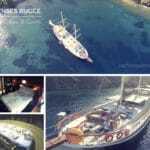 A few of the most favored gulets by choice over the years are ones that are not too high priced and affordable when you divide the cost to rent a gulet between 2, 3 or 4 families. These gulets range between 5 to 8 cabins – which relates to accommodating 10 to 16 guests. 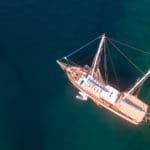 For your next holidays, why not consider anyone of these air conditioned, fine Turkish boats for a fantastic gulet blue cruise Turkey vacation at the best prices possible!